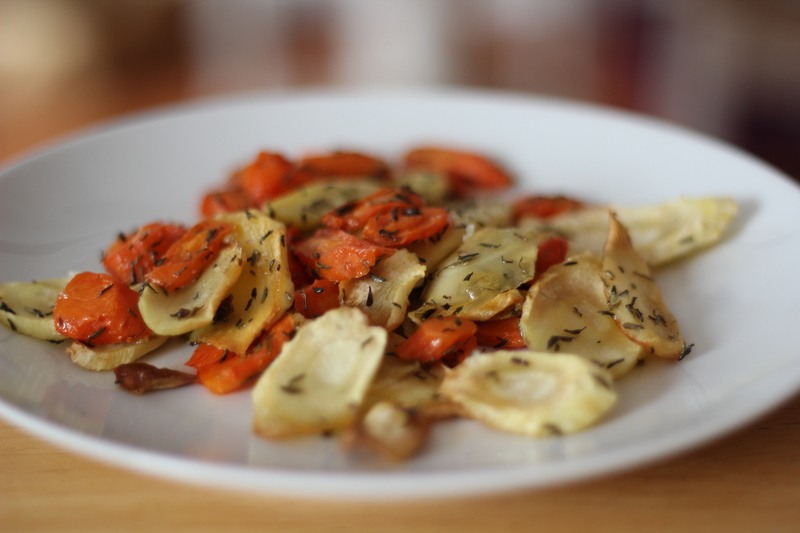 This super-simple side vegetable dish is perfect for any cold day. Enjoy. 2. Peel, wash and slice all carrots and parsnips thinly. Then arrange them on a baking sheet or baker. 4. Bake 30-45 minutes, to desired crispiness. It’s become a favorite winter side dish of mine (a recent version is pictured above). I am always surprised at the sweetness and crispy-ness….which makes it a healthy potato-chip substitute to boot. This entry was posted in Recipes and tagged Recipes, Winter, Yummy Roots on December 16, 2014 by Ilona.